KIEV, Ukraine -- World boxing champion Vitali Klitschko announced Saturday the launch of a new political party to reform Ukraine, giving it the feisty name of "OUDAR", an acronym which means a "punch". World boxing champion Vitali Klitschko. "I am used to achieving my goals, I am convinced that this will be the case not only in the field of sports but also in politics," Klitschko said in a statement. "With a strong and well-aimed 'punch', I am ready to knock down the wall between society and the authorities which is blocking the development of Ukraine," he said. The heavyweight WBC champion did not indicate the political leanings of his party OUDAR, whose full name is the Ukrainian Democratic Alliance for Reform. During the former Soviet state's Orange Revolution in 2004, Klitschko supported pro-West former president Viktor Yushchenko against the current head of state, Viktor Yanukovych, elected earlier this year and considered pro-Russian. 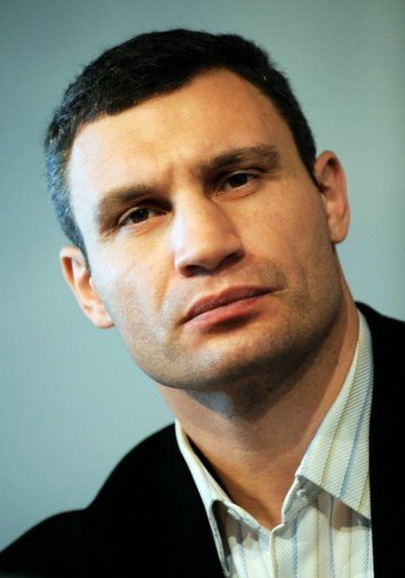 Klitschko, 38, however is not a newcomer to political ambition. The nicknamed "Dr. Iron Fist", because of his doctorate in sports and as one of the few champions never to have been knocked down in his career, did however hit the mat twice in Kiev politics, failing in his bid to be elected the capital's mayor in 2006 and 2008.